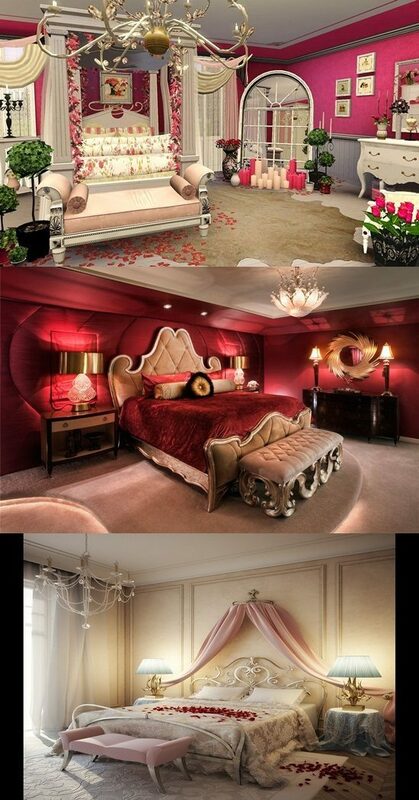 Romantic bedroom is the quest of many people nowadays. People can follow important ideas about romantic bedrooms that are tackled briefly here such as; features of romantic bedroom curtains, how to impart a romantic touch to your bedroom, the relation between interior decoration and romance. 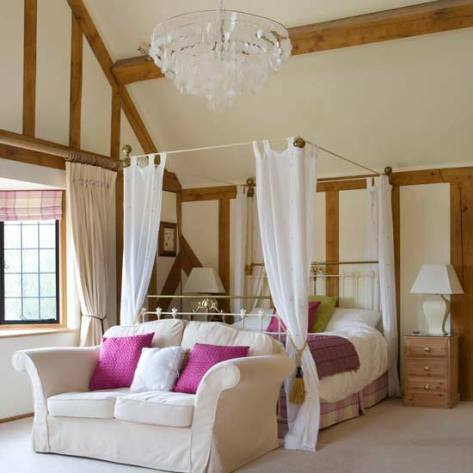 Romantic bedroom curtains are preferred to be different to avoid being boring. Heavy textures, as veil and velvet, are good choices. Smooth curtains affect your intimacy and your mood as well as light. Curtains frame your objects and dignify them. Thus curtains play a vital role in a romantic bedroom turning it into a piece of art if only they match wall color and furniture. There are easy steps to impart a romantic touch to a bedroom. The first step is to get rid of clutter. Aspects of clutter are uncountable. Some people prefer watching television in bed but having a television in the bedroom is not a sign of romance. The second step is choosing color wisely. Calm colors are preferred while bright colors are not. Being wise means matching the colors of curtains and furniture with the wall color. The third is selecting a bed. The romantic bed must look inviting and comfortable. The fourth step relates to curtains and walls. Curtain colors should complement the bedding and the walls. It is recommended to minimize wall decorations and avoid family pictures. Bedroom lighting is crucial to maintain romantic bedroom together with curtains. Installing dimmers and using lower wattage bulbs are good choices for romantic bedroom. Interior decorating is crucial to romantic bedroom in many ways; lighting, window treatments, bedding, and color scheme.